A woman with a microphone appeared to say on behalf of the director (who she just referred to as The Director) that she was glad to see us all there for something completely unlike the other 250 WWII films we had all seen. This one was about life and relationships and what it was to be human. 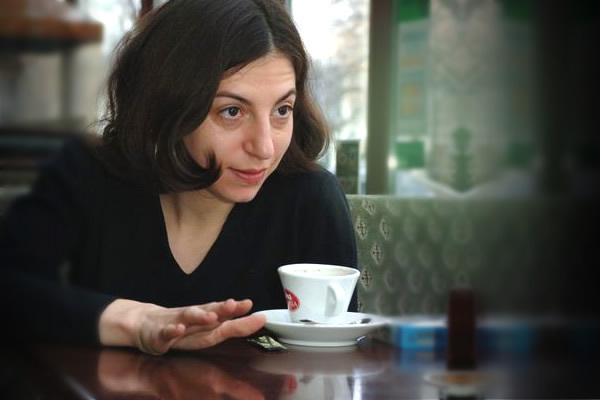 The director had been obsessed by Fridrikh Gorenshtein for a long time; first of all he had allowed her to make a short film based on his work, and only then to move on to something more large-scale. The director had found a producer who owned the largest TV channel in Ukraine and he had made this feature film for 2 million Euro. 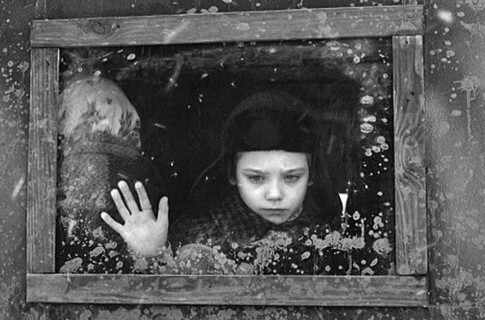 The film dealt with a boy and his mother returning from evacuation by train during WWII. The mother is sick with typhus, they leave the train and she is taken to hospital. He battles to find the hospital and send a telegram, surrounded by unheeding adults. She dies. Maybe he is going to make friends with the little girl from the housed with the turret by the station. He rejoins the train with an inadequate substitute family; a couple of rough types are determined he is going to reach his destination. The table above shows the most popular books from Question 1 of my survey: A publisher wishes to publish in English Russian fiction from the last 40 years. He would like to publish something worthwhile, and also not lose money. Which of the following would you recommend? As can be seen, Question 1 elicited 5 answers. This multiple choice question named 19 different works of 15 different authors. These were derived from original discussions with the publisher, a query on SEELANGS here, and my own knowledge. I posted a link to the survey on SEELANGS here and RUSSIAN-STUDIES here and also sent it around some of my own contacts. Question 2 was: If there are any books or authors not listed in Q1 you would like to suggest, please give details below. Thank you! There were 8 answers to this question, naming a variety of authors and works. Vladimir Sorokin was the only writer to be named more than once (twice in fact); there was also a further nomination for Fridrikh Gorenshtein. There was one expression of support for the publisher in response to Question 3: Please give any other comments on this survey or the subject-matter below. Thank you! Clearly Sorokin and Gorenshtein are the favourites here. That applies to both Q1 and Q2. It was interesting to see that some well-known writers such as Olga Slavnikova and Dmitri Bykov attracted very little support. As at December 2015, this lack of enthusiasm for Bykov seems quite widespread. Sorokin would certainly be the practical recommendation. At the technical level of putting the right words in the right order so you want to read more he’s a very very good writer. A couple of his books have been translated into English, and a lot have been translated into French and German so it’s easy to find out something about him. One could look at Den’ oprichnika (Der Tag des Opritschniks/Journée d’un Opritchnik) or Goluboe salo (Le lard bleu/Der himmelblaue Speck) as being the most immediately appealing perhaps–there’s lots of useful stuff on amazon.fr/de. [Oops! The first of these has just been published in English, and no-one picked me up on it…] Sorokin certainly suffered some problems with the authorities on account of the second of these, and also with an opera he did the libretto for, so there’s publicity material as well. You can see my views of that wonderful book Psalom (together with something about Gorenshtein in general) here, and also read about some of the issues to do with publishing him in English here. Personally, I think you might need to be a US publisher of Jewish material with some kind of captive market to bring it off. Or a US publisher of heavyweight literary fiction, but those possibilities seem to have been prejudiced by the unfortunate experience with Poputchiki. Finally, anyone who knows what ‘original’ of Psalm 88 Gorenshtein had in mind is invited to let me know! The remaining books listed in Q1 were (in descending order of popularity): Latunnaya luna (Asar EPPEL’), Pervoe vtoroye prishestvie (Aleksei SLAPOVSKY); Eltyshevy (Roman SENCHIN), Malaya Glusha (Mariya GALINA), Pers (Aleksandr ILICHEVSKY); Tsvetochniy krest (Elena KOLYADINA); Schast’e vozmozhno (Oleg ZAIONCHKOVSKY), Kroshki Tsakhes (Elena CHIZHOVA), Lyogkaya golova (Ol’ga SLAVNIKOVA); Evakuator (Dmitri BYKOV), Orfografiya (Dmitri BYKOV), Spisannye (Dmitri BYKOV). I’ve posted something about Kroshki Tsakhes here. If anyone is interested in the complete results of the survey, feel free to write to me. I think that Academia Rossica would also like me to mention their translation grants ! happens very easily in publishing. being so much more widely discussed and practiced there..? When Gorenstein was alive I tried to find him a US publisher but the answer was that his novels are too long and complicated and unless there is a generous grant the project is unrealizable. Tolstoy and Dostoyevsky might have got the same response today if they tried to get published for the first time. In 1991, Houghton Mifflin published Bernard Meares’s translation of TRAVELING COMPANIONS. At the time I heard that the book did so poorly, Gorenstein became unpublishable here. This is a situation I come across fairly frequently. If a foreign author’s first book doesn’t do well, other publishers are reluctant to touch anything else. In this case, I think part of the problem was the choice of book, which, unlike other works by Gorenstein I’ve read, is largely talking heads. Pity the poor translator expected to make something marketable of that. I have no idea who made the decision to publish that particular book, but I suspect this was simply the one that was brought to the publisher’s attention. Well there could be some whiff of an underpriced (intellectual) property there, at least in the US. But what are the alternatives? The trouble with very many contemporary Russian novels is that they require far too much knowledge of the Russian background (historical, literary, day-to-day) for what the foreign reader is going to get out of them. There’s a general question as to whether Russian writing is drowning or indeed has already drowned in intertextuality, but that’s another question. So who is there if you’ve decided you want to publish a translated Russian novel? Olga Slavnikova often (not always) comes on like she wants to be a Russian Henry James so that you would be completely unable to draw a picture of what’s happening in any particular scene, never mind say why they’re doing what they’re doing. Dmitri Bykov’s books tend to be long and complicated and also pretty slackly written. Mikhail Elizarov’s Bibliotekar’ requires an unhealthily-detailed knowledge of Russian and Soviet history to understand, and there’s always the unpleasant possibility he might mean it seriously. Something like Pokhoronite menya za plintusom (Pavel Sanaev) is fine in its own context, but will it mean anything to anybody else? A publisher wishes to publish in English Russian fiction from the last 40 years. He would like to publish something worthwhile, and also not lose money. Which of the following would you recommend? …русская Библия в ряде мест переведена неумело. Так, необходимый сейчас умирающему псалом No 87, стих 4-й переведен: <<Ибо душа моя насытилсь бедствиями, и жизнь моя приблизилась к преисподней>>. В то время как в подлиннике : <<Ибо душа моя насытилсь обидами, и жизнь моя приблизилась к могиле>>. При этом возникают разные вопросы. Конечно, нумерация не так проста, но тоже не так трудна–Псалме 87/4 по русской Библии соответствуют Пс 88/4 по Танаху и Пс 87/4 по Септуагинте. Как и стоило ожидать. Ибо душа моя насытилсь бедствиями, и жизни мои дошли до преисподней. Разницы, в основном, нет. А откуда у Горенштейна подлинник? Ведь в Biblia Hebraica Stuttgartensia не указано других возможностей в данном месте. Well this is a wonderful book. The idea is that Dan, the Antichrist, the Viper is sent to earth by God to carry out necessary punishment according to the four afflictions of the Lord: hunger, the sword, lust and disease. At the beginning in a brilliantly-observed scene he is the only one in a Ukrainian tea-room who will give food to a beggar girl. Later on he realises that he has been sent to earth by the Lord not to effect damnation, but to be damned himself. At the end he goes out into a wintry landscape in a family party with his son Andrei Koposov from the parable about fornication; his adopted daughter Ruth (also the prophet Pelageya) from the parable about the torments of the impious; their son Dan from the parable about sickness of the spirit; and Savely Ivolgin, the alchemist and sinner from the same parable. The sign of the trees in the woods burning with holy whiteness of snow causes them to realise that after the four grievous afflictions of the Lord there will come the most terrible–hunger and thirst for the Word of the Lord. As the book goes on the religious and eternal themes break through into the narration more and more clearly, like the painted-over pictures of Jesus becoming visible in the converted church where Annushka, the impious martyr later driven away into slavery so that she can curse the German land, lives with her mother (also called Annushka). Many of the episodes especially at the beginning achieve a genuinely Biblical concentration and intensity. We see people who are still people rather than allegories or symbols and who are in the grip of things outside of themselves they do not understand. And the defamiliarised newness of life in towns and institutions to a beggar girl from the country is wonderfully realised, as is her uncomprehending servitude in the home of her sister and his husband and her lover. Much of the book represents a reply to Dostoevsky from a Jewish standpoint. We see characters and scenes typical of the Old Testament on Russian soil, and a depiction of the terrifying life of people who have abandoned the Law. Dostoevsky is first of all referred to as a Russian literary man gazing at a tablecloth soaked with wine and then his presence becomes steadily more explicit. Russian Christianity, or pagan Christianity, has diverged from the real Jewish Christianity and the real Jesus, who continued the line of Moses rather than rejecting it. When Dan first of all appears in the Ukraine of the Great Famine he sees that everywhere there is idolatry, and especially idols of a moustachioed Assyrian bath-attendant. As far as I know, this book has never been translated into English and I don’t know why. I would have thought that the Old Testament basis would be a lot easier for the Anglo-American reader to understand than the Russian one. There would be less shock value of course, since (to skate over a few issues) our native Protestantism is certainly a Judaising type of Christianity, if not quite the Jewish Christianity that Gorenshtein would approve of. There are translations into French and into German. Fridrikh Gorenshtein was born in Kiev in 1932. His father, a professor of economics, was arrested in 1935 after the assassination of Kirov. His mother fled to the countryside and Fridrikh was brought up first of all by relatives and then–after the death of his mother–in a series of orphanages. In 1949 he worked as a labourer, after which he studied in a mining institute and then worked as an engineer while starting his career as a writer. He studied screenwriting in Moscow in 1961, after which he worked on the screenplays for a number of Soviet fims, including two very famous ones–Solaris and Slave of love. Psalom was written in 1974/75 and like almost all of his prose had no chance of publication in the USSR. After publishing in the Metropol almanac, Gorenshtein was forced to leave for the West in 1980, where he lived first of all in Vienna and then in West Berlin. He was married twice and had one son. 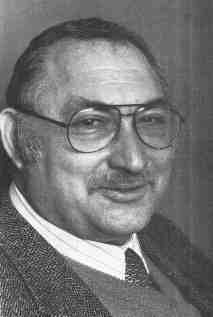 Fridrikh Gorenshtein died of pancreatic cacer in March 2002, a few days before his seventieth birthday.